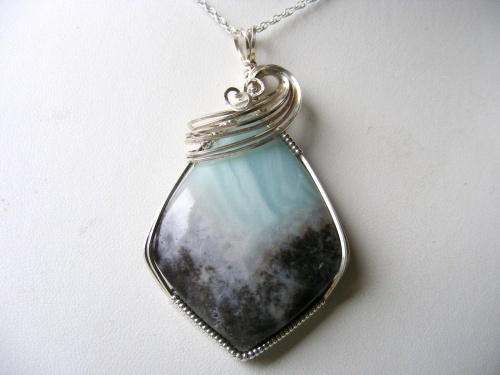 This gorgeous piece of amazonite is so different than the usual piece you may see. Beautiful aqua with dramatic black makes this a piece that will match with almost anything. The swirls and sculpting is of argentium silver thus making it less easy to tarnish. Comes with a sterling silver chain.